When it comes to education, families are close by to advise and provide support on your path to success. Some families are even closer. 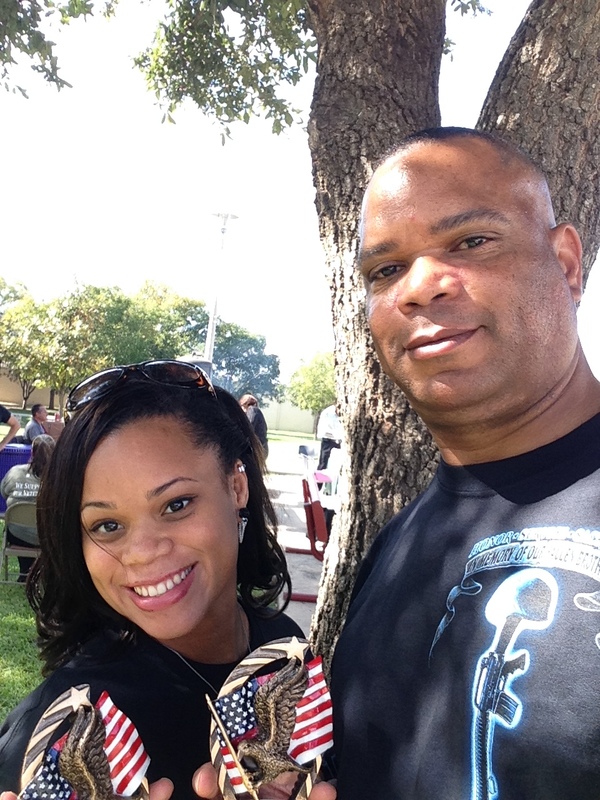 Denae Quintero and her father, Darren Wright-Lester, are both veterans who served in the U.S. Army and are now attending college at Palo Alto. They both are seeking a Logistics and Supply Chain career under the guidance and mentorship of Lead Instructor Ronnie Brannon. Quintero is in her first year at Palo Alto but has taken college courses throughout her military career. Wright-Lester is currently finishing his online courses and interning with Brooke Army Medical Center, Joint Base San Antonio, and will graduate this fall. “PAC is a pretty good college with [a diverse group] of students, professional staff and top-notch Veteran Administration Office. I highly recommend it to anyone seeking a two-year degree. Here, staff is friendly and willing to work with you one-on-one,” said Wright-Lester. Fraternal twin brothers, Jason and Aaron Fernandez, 20, both go to Palo Alto and study the same major. Jason currently attends both Palo Alto and Texas A&M-San Antonio. His brother, Aaron, attends Palo Alto but will be attending Texas A&M in Spring 2014. They both want to become History teachers and eventually get their master’s in Sports Management to become athletic directors in their hometown. When the Fernandez twins were in high school, Jason was committed to joining the U.S. Army like his father but a shoulder injury ended that dream. The brothers moved to Floresville after their parents, who were both teachers, passed away. Javier Aguirre is a History professor at Palo Alto. His daughter; Ariel Aguirre, a freshman at Palo Alto, is pursuing an Associate of Arts in Early Childhood Education. Before becoming a History professor, Aguirre served as a Marine, a San Antonio firefighter and a purchasing agent/fleet manager for a local company. “I like that she chose to come here to Palo Alto because I know that the professors really care about the students. I can guide and advise her, [but] she has to do it on her own,” he said.